The southern constellation of Pavo is centered in the above photography. The brightest star of Pavo is Peacock, alpha Pavonis, with 2.1 mag visual brightness (upper left). All other stars are 3.6 mag or fainter, which makes the constellation pattern quite difficult for observers (see lines). More prominent neighbors are the constellations Ara and Triangulum Australe to the right hand side (west). Best observing time in mid of August is about 22:00 (10:00 pm) local time. 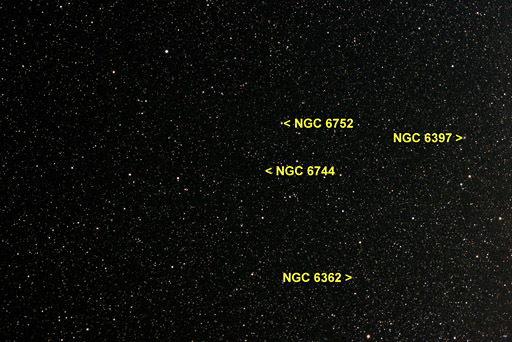 The declination of the constellation borders ranges from -75o to -57o. The more dense star fields of the milky way are touched on the right hand side. 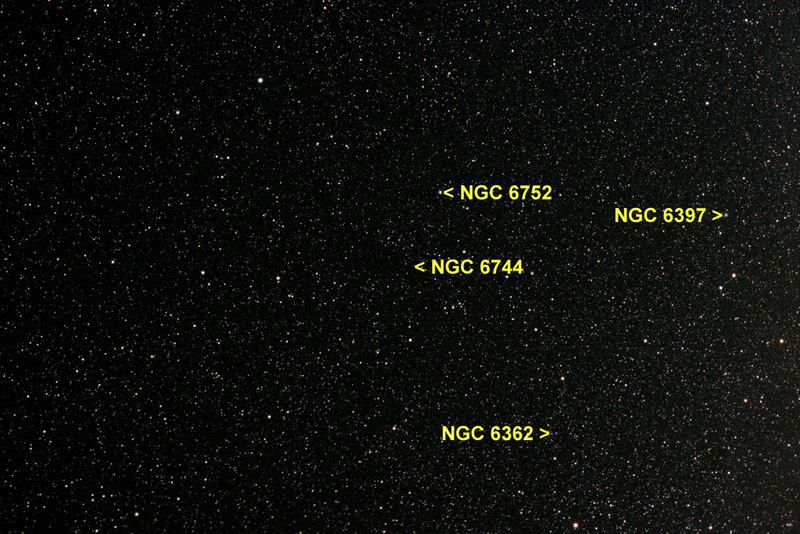 A few interesting deep sky objects show up in the field of view. The barred spiral galaxy NGC 6744 resembles very much our own Milky Way in size and appearance.